Are you ready to experience the magic of India? 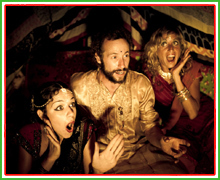 Our show "NATARAJA GROOVES" will take you into a unique, joyful & surprising journey to India. 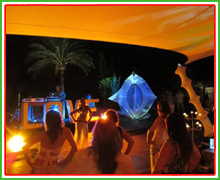 The show includes live Indian music, classical Indian dance (Odissi), folkloric Indian dance (Khalbelia, Rajasthani, Bhangra), Bollywood and Indian Fusion dance together with the best clubbing Indian grooves provided at our live-Dj set. "BHANG BOLLY HOOP" is a colourful and interactive show that will make you shake your legs, move your body and enjoy authentic Bhangra & Bollywood rythms fused with the fun-filled art of Hula Hoop. 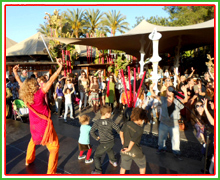 Our show "BHANGRA-REGGAE" fuses the joyful & vibrant Bhangra vibes with full positive Jamaican rythms and Reggae. This show includes life drumming with our talented Reggae Djembe drummer Rastamatt and Bhangra-Reggae dance animation with the audience full of Fun & Love by Shankara. The show is also available including a live Indo-Jamaican dj set and/or a live Reggae gig by the ibicenco Reggae band "Jahbless & the Lions of Zion". 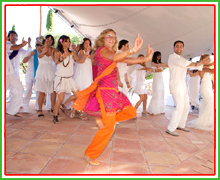 Our show "ALOHA SHAKTI DANCE" fuses Hawaiian Hula dance, Bhangra & Bollywood dance to lighten up your events & special celebrations with exotism, colour & Love (aloha). This show also includes an optional dance class &/or Indo-Hawaiian music session. 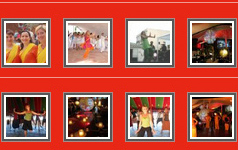 Since our beginnings we have been dedicated to promote & share worldwide the joy of Bhangra dance. 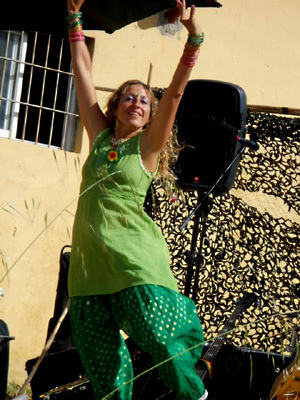 "Bhangra: Mystics, Music, and Migration"